Detroit Employment Solutions Corporation (DESC) is the administrative and fiscal agent for workforce solutions for the City of Detroit, meaning they are responsible for assisting Detroit employers with finding employees and jobseekers with finding jobs. 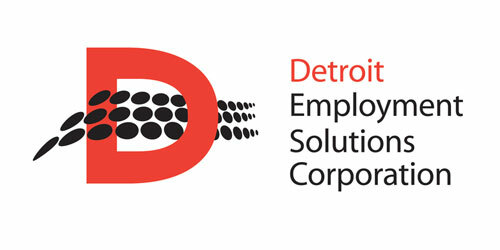 Detroit Employment Solutions Corporation was formed as a non-profit on July 1, 2012. DESC is a part of the Michigan Works! Association, and is one of 25 Michigan Works! Agencies located around the state. Like other Michigan Works! agencies, DESC receives the majority of its funding from the federal government. These funds can only be spent on programs and initiatives for which they are intended, and that are consistent with Office of Management and Budget guidelines. Detroit Employment Solutions Corporation reports to the Detroit Workforce Development Board, which is established by the Mayor of Detroit. Pamela Moore, President and CEO, serves as DESC’s representative on WIN’s board. As President and CEO of DESC, Nicole Sherard-Freeman is responsible for leading the strategy and day-to-day operations of the agency, in support of the city’s vision for talent readiness and employment demand for Detroit residents. From external relationships with community-based organizations and philanthropic investors to direct, daily management of initiatives for government partners, Nicole’s unique skill set integrates significant experience managing relationships with employers and the close examination and analysis of those who provide direct service to Detroit job-seekers. As former Director for Corporation for a Skilled Workforce’s Detroit Portfolio, Nicole was a lead researcher and co-author of two significant reports about Detroit’s talent pool and job market. Born and raised in Detroit, Nicole holds a Bachelor’s of Science in Business Administration from Wellesley College, and has completed graduate studies in Organizational Management and Development at Fielding Graduate University.